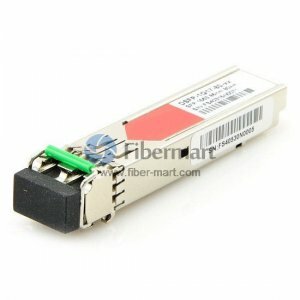 CWDM SFP Transceiver is a convenient and cost-effective solution for the adoption of Gigabit Ethernet and Fiber Channel(FC) in campus, data-center, and metropolitan-area access networks, with maximum optical budget 41dB. Fiber-Mart CWDM SFP modules support data rates from 100 Mbps up to 4.25 Gbps. There are 18 center wavelengths available from 1270 nm to 1610 nm, with each step 20 nm. These wavelengths are compliant to the ITU G.694 CWDM standard. Fiber-Mart DWDM SFP transceivers provide a high-speed serial link at signaling rates from 100 Mbps to 2.5Gbps. The DWDM SFP modules meet the requirements of the IEEE802.3 Gigabit Ethernet standard and ANSI Fiber Channel specifications, and are suitable for interconnections in Gigabit Ethernet and Fiber Channel environments. Our DWDM SFPs are available in all 100 GHz or 50GHz C-band wavelengths on the DWDM ITU grid.